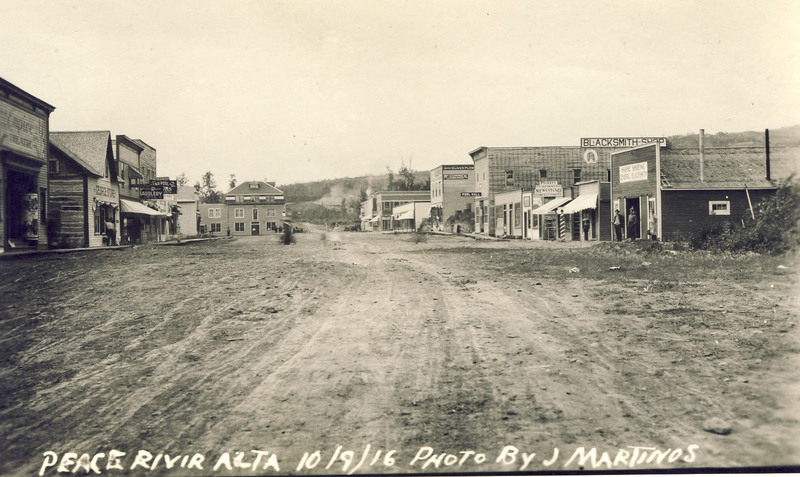 With this slider you can take a look at how the Town of Peace River has changed over the years. Click and drag left or right to reveal an image from the present overlaid on an image from the past. 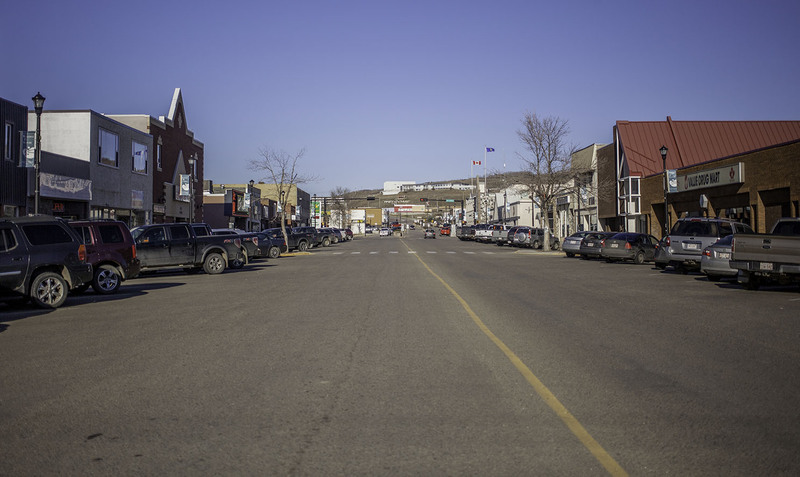 Here is a view of Main Street in Downtown Peace River, looking north from the intersection of Main Street and 101 Ave. The first image was taken in September 1916, the second image was taken in October 2015. 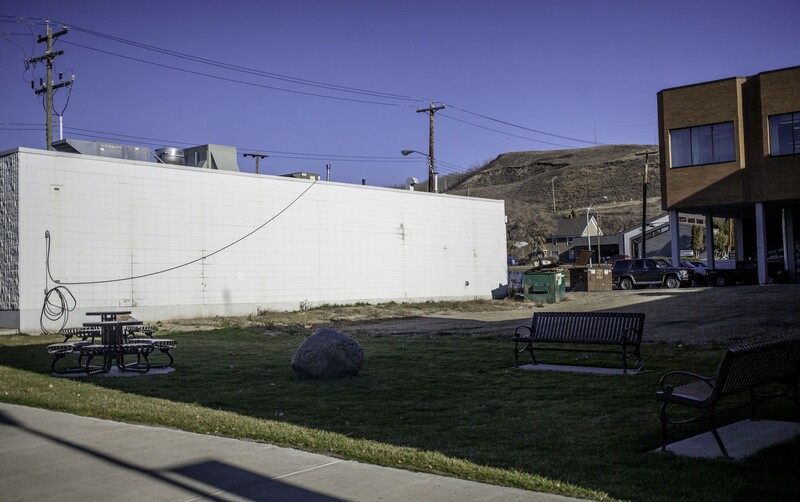 While much has changed in those 99 years, the McNamara hotel is visible in both pictures, a new version now stands on the spot where the original once stood. 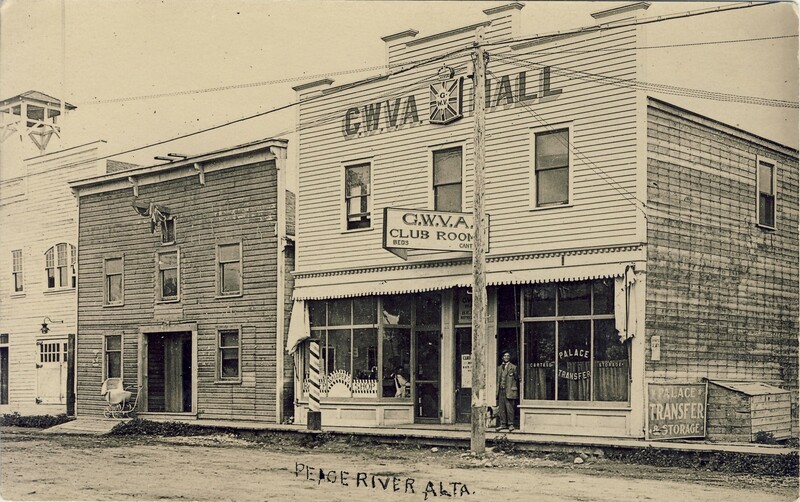 After World War I veterans established the ‘Great War Veteran’s Association,’ in 1925 the GWVA became the Royal Canadian Legion. All the buildings that stood there are now gone, where the GWVA once stood is a small park the Town is working to develop.